Our precision deburring services are the best choice to remove any burs on a die cast part. All of the zinc or aluminum die castings we manufacture are completely free of all burs. This deburring service will operate in the same fashion, regardless of zinc or aluminum material types. This specific deburring option is a large scale secondary finishing process that relies upon strong friction for results. A specialized machine is used to provide a unique vibratory motion which causes media to steadily press against the die cast components. High energy mass tumbling method that uses G forces to finish parts. This process will debur and smooth the die castings in a shorter time period than conventional vibratory deburring and hand deburring. Since G forces are produced, part areas that standard deburring services cannot reach are completely deburred. This secondary finishing process is reserved for parts that range in size from 0.25mm to 51mm. Also known as manual deburring, this process requires a specialized Technician to properly complete the full operation. 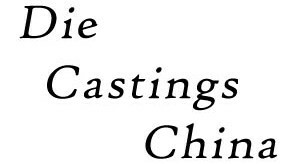 Die Castings China includes a specialty staff of technicians that have years of experience with operating the hand deburring department. Hand deburring is a versatile process that can be suitable for various die cast parts, from very high tolerance products that require delicate deburring under a microscope to automotive components that require material to be removed with sanders or grinders. Since all work is performed by hand, we are able to inspect parts as we go to ensure quality and consistency. Frequently the best option for most die cast parts, especially for low quantity volume projects. It is also often the most efficient process, most specifically when a fast lead time is needed.